Moen will play from her new album Friday night with local openers Hot Tang and Young Charles. Iowa native Elizabeth Moen’s next few months will consist of nothing but music. Having started Sept. 10 and spanning through Dec. 19, Moen will crisscross the country from New York to Portland on a release tour for her latest LP, A Million Miles Away. This LP comes on the heels of her 2017 EP That’s All I Wanted and her 2016 self-titled EP, showcasing how far Moen has come in three short years as she more clearly develops her sound and persona. Moen comes from Vinton, Iowa, a town northwest of Cedar Rapids that she said possessed virtually no music scene while she was growing up. 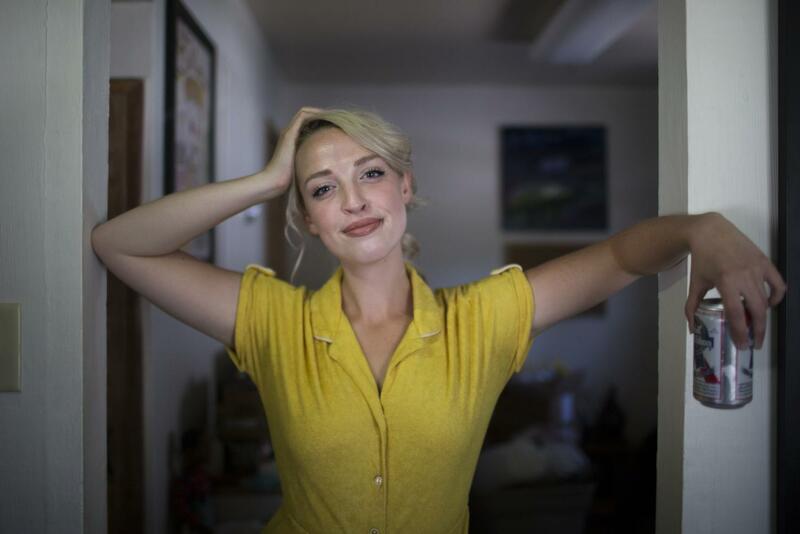 After moving to Iowa City for college, she began listening to more genres than what was popular on the Midwestern radio and started discovering her niche. Since then, Moen has played a multitude of gigs around the Midwest and beyond, having returned from Europe this week. Having finished the European leg of her tour, she will gear up to start traveling again, this time stopping in places she has never seen. In addition to New York, Moen will reach the South for the first time, playing in Tennessee and North Carolina and also visit the West Coast for shows in Oregon and California. She will stop in Colorado and other states along the way. While working on the LP, the title came to her as she listened to the closing track. Moen said her favorite track depends on the day and the mood she’s in. When it comes to “Time Is a Sh*tty Friend,” the song is her favorite because of the growth the song represents. “There were a lot of parts in this song melodically and lyrically that are very different from how I usually write, and I was like, ‘Cool, this is a new step,’ ” Moen said. In terms of growth, every aspect of her musical career shows how far she’s come as an artist. From playing a set in the front of Shorts and writing her first song a few years ago to her first headline show at the Englert, she’s on a path that only seems to go up. Headlining her release show at the Englert brings her full circle back to Iowa City, where she found herself. No longer afraid, Moen will leave the Midwest with a window half-open attitude. “At the end of the day, I have bandmates who are willing to play with me, so even if nobody came [to the shows], these people cared enough about these songs to travel around the country to play them, which is one of the nicest things anyone could do,” she said. Moen will headline a show at the Englert to celebrate her album release on Friday with local bands Hot Tang and Young Charles supporting her.